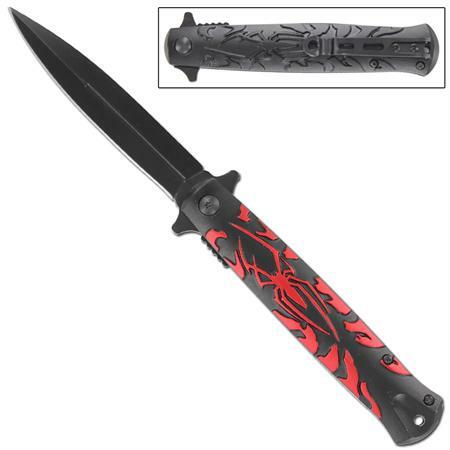 Our Spinal Tap Stiletto Assisted Knife is made of stainless steel and is doubled walled for a heavy duty construction. The handle is made of anodized aluminum with a steel frame and liner locking mechanism. 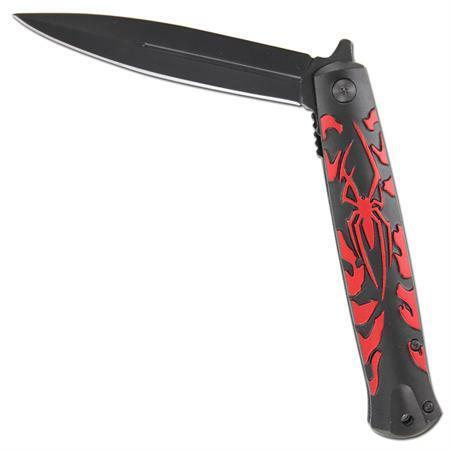 A scorpion adorns the front of the handle and is painted metal grey while the back design fades into the back ground. The spear point blade has a black finish. Included is a pocket clip. Overall length is 9 Inches.